My interest in investing was heavily influenced by my father. As a youth, my father decided the war in Iraq was something our family should pay attention to, he’d bring the Everett Herald home and encourage my brother and I to read about the progress of the war. I read the pages and participated in the dinner time discussions about the progress. My true passion and discovery was the relationship between the war happening on the front pages and the capitalists and investors profits being documented on the back pages where the stock price quotes were listed. Fast forward a couple of decades and I realized the true value in how that activity changed my world view and interest in the economy. Read about how my father influenced my investing and pick up a print copy Startup Wealth for a father in your life at 20% off! 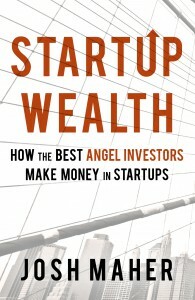 Already read and reviewed Startup Wealth? 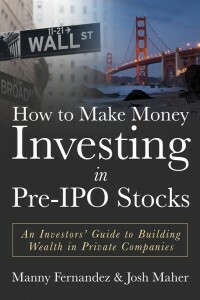 Pick up my second book with the prolific investor Manny Fernandez How to Make Money Investing in Pre-IPO Stocks: An Investors’ Guide to Building Wealth in Private Companies at a huge discount! This article was posted in Discount and tagged Angel Investor, How to Make Money Investing in Pre-IPO Stocks: An Investors' Guide to Building Wealth in Private Companies. © 2019 Startup Wealth. All Rights Reserved.